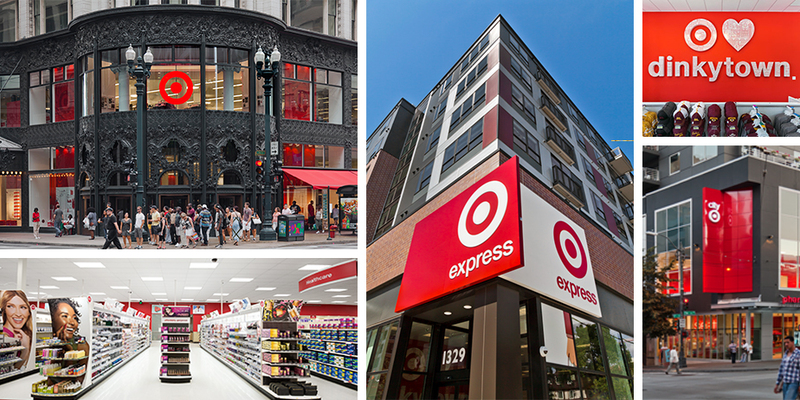 On the heels of announcing the first East Coast CityTarget opening in 2015 in Boston, Target has an even bigger surprise. New York is getting its first CityTarget, in downtown Brooklyn’s bustling Albee Square. Opening in 2016, this CityTarget will see traffic from neighborhood residents and students as well as the nearby DeKalb Avenue subway station. It’s all part of Target’s stores growth strategy to reach guests in new places with smaller format stores, and in new ways with customized assortments and shopping solutions. Target has already announced five additional TargetExpress stores — its smallest and newest format — next year, four in California and one in St. Paul, Minn. to join the original Minneapolis location. Twins, some might say…but not the identical kind because each TargetExpress store will be custom-tailored to its surrounding neighborhood. Target’s smaller formats also offer testing opportunities that will inspire new shopping solutions for the rest of the chain. TargetExpress in Minneapolis is one of the first stores to test Seamless Service kiosks — iPads at the end of an aisle that enable guests to communicate with team members and browse and buy merchandise on Target.com. And mannequins first made an appearance at CityTarget stores but will be rolled out to 600 stores by the end of the year. All these moves add up to one simple goal: creating more opportunities for guests to shop how, where and when they want. And we can’t wait to see what’s next!